Who do you like tonight in the BCS National Championship? Florida State and Heisman winner Jameis Winston in their pursuit of perfection, or Auburn, the never say die team of destiny? I like Auburn in this game, despite being underdogs, I like their strength of schedule this season. They were in games on bigger stages against the best programs in the nation, and are battle tested. While on the other hand Florida State was beating up Idaho, Bethune-Cookman, and an inferior ACC conference. Auburn took down Missouri, Georgia, and of course Alabama. Should be a great game… Who do you like? Make sure to vote, and then give me your take in the Comment Section below video. 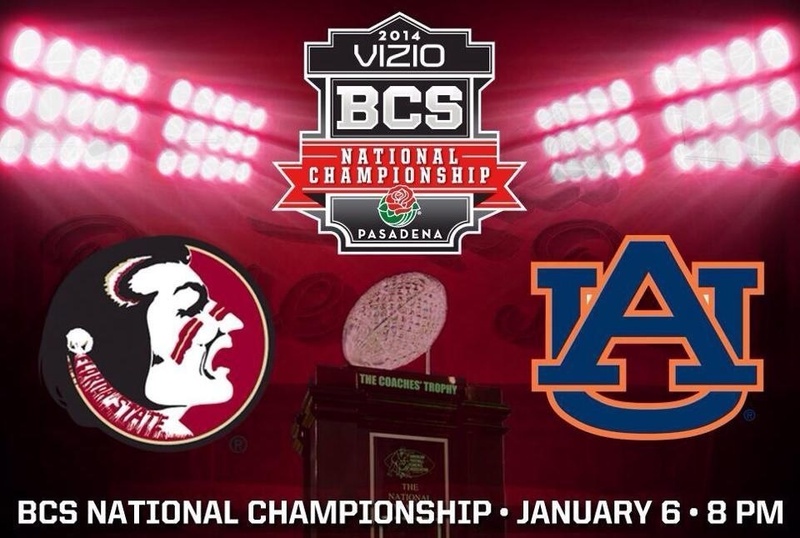 Who will be the BCS National Champions… Florida State or Auburn, Perfection or Destiny? Can they both lose??? I don’t like either team. Gun to my head… Auburn. You’re welcome Matt. I hate that too. They are the Tigers for crying out loud. Maybe I am just angry today. Ya… It makes absolutely no sense… But that’s their thing. War Tiger! would make more sense. Here is a post as to the most common stories of how the “War Eagle” chant began. I personally like the first one, probably because you can’t make this kind of stuff up. Oh yeah and Steve, War Damn Eagle!! Lets go get me boys. The speech in the Auburn Video is f’ing awesome!